Banner made using a screencap from “Peak Performance” (TNG). Not every ship can be the largest or most advanced, and not every crew can be the best and brightest. In a time of war, every able-bodied officer and crewman is called upon to do their part. The U.S.S. Orion, long since decommissioned, is dragged back into active service and given two weeks to be overhauled before being put to work as a support ship. As her new Captain assumes command, he quickly learns that those now under his command isn’t your typical crew. The Orion joins two other decades old ships on a mission to search and rescue survivors from a battle in the Setlik System. As each of the crew has to deal with the stresses and strains their new assignment is putting on them, one among the survivors goes above and beyond in order to bring aid and comfort to those who have gone through hell. Sent to the Volnar System to salvage key components from the remains of a Starfleet task force, Lieutenant Jachim must deal with the ghosts of his previous ship–which is one they must search through. As the Orion transports a battalion of Marines to the front, tensions are high between them and the ship’s crew, more so for Lieutenant D’Kehra–who has a very personal grudge against them, and more specifically, their CO.
As 2375 approaches, the Orion is assigned to transport a group of Cardassian POW’s to a secure facility. As tough as it is for the rest of the crew, for Ensign Mecell it is far worse, as he remembers one of the prisoners from night his mother was murdered. 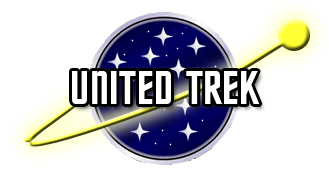 Responding to a distress signal from the Badlands, Captain Reihyn and a team from the Orion locate a crippled civilian transport carrying refugees from the former DMZ colonies, with the Cardassians hunting them down. Meanwhile, Chief Ramirez has a reunion with someone from his days in the Maquis. Delayed by engine problems, the U.S.S. Orion picks up a Starfleet ship adrift in empty space. Commander DuMont and Doctor Baxx lead relief teams to the ship, stricken with a biological weapon. Things go from bad to worse when two of the crew are exposed to the pathogen. The Breen have entered the Dominion War and the tide turns against the Allied Forces. Meanwhile, the Orion receives orders to transport an S.C.E. team on a classified mission, which sees Lieutenants Jachim and Lanali temporarily reassigned. A fevered battle against the Breen sees the end of the U.S.S. Orion and the loss of several of her crew. The survivors have a lot to face as they are recovered and taken to safety. In the wake of the destruction of the U.S.S. Orion NCC-3013, Captain Reihyn waits to hear the verdict of the hearing and his new orders.